What is a damp proof course or DPC as it is commonly known? A damp proof course is an integral horizontal barrier positioned at the base of a masonry wall. The DPC is traditionally sited 150mm above external ground level and is incorporated into the brickwork as the wall is built. Modern properties have damp proof courses made from a durable plastic/ polythene layer. In days gone by the DPC may have been formed from a bed of slate, a row of engineering bricks or from a bitumen layer. Many stone buildings were built without a damp proof course. What is the purpose of the Damp Proof Course? The damp proof course is incorporated into a permeable wall to prevent moisture rising from the ground into the structural fabric of the building. The natural movement of ground water through the pores of a masonry wall occurs via a process called capillarity - a phenomenon more commonly known as rising damp. How can you tell if the DPC is missing or not working? If the damp proof course is missing, or has otherwise failed, properties may exhibit signs of rising damp. Rising damp typically occurs if the built-in damp proof course is missing, is breached, for example by raising of ground levels, or is damaged, for example by a structural alteration. In such cases rising damp may occur. The dampness may affect vulnerable materials or finishes that are in contact with the wall. Rising damp has potential to rot timber joists, skirting boards or the bottom of door frames or to cause wall plaster to flake and wall coverings to deteriorate or become stained. What should you do if your damp proof course is missing or not working? Look for the simple solution first. Many DPC’s are breached by ground level alterations or by blockages in the wall cavity. 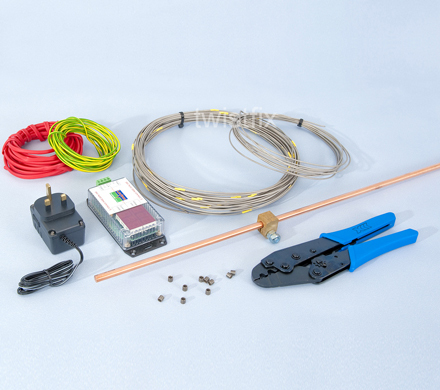 Inoperative damp courses can be revived by simply reducing the level of the ground or removing cavity obstructions. It may be that it is not possible to un-breach the DPC or the damp proof course may be missing or damaged. In such cases it may be necessary to install a retrofit damp proof course into the walls to stop rising damp. What retrofit DPC system should I consider? 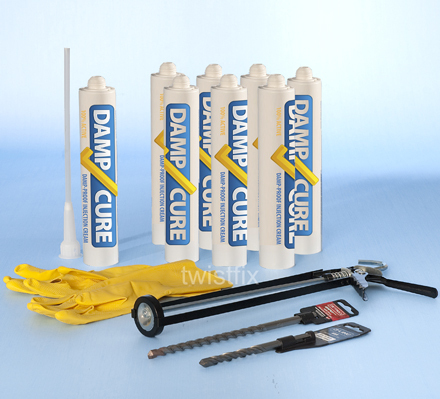 The selection of an appropriate retrofit damp proofing system will depend on property type. For standard brick walls, where there is a continuous mortar bed running along and through the wall, damp proof injection creams are usually used in conjunction with wall plaster renewal and cavity clearing works. Contrary to popular belief a chemical DPC does not form an impervious physical barrier.­ Chemical damp-proofing lines the pores along a masonry wall with a silicone resin water repellent to alleviate capillarity.­ Be sure to use a DPC cream that carries BBA certi­fica­tion. For stone walls without a continuous mortar bed running along and through the wall an electro osmosis damp proof course will give better results. Electric damp proofing systems introduce a tiny electrical charge into brick or stone walls via a series of positively charged anodes. Free moisture molecules are repelled from the anodes and attracted to a negative cathode that is buried in the ground, working like "poles" of a magnet to repel or attract moisture. 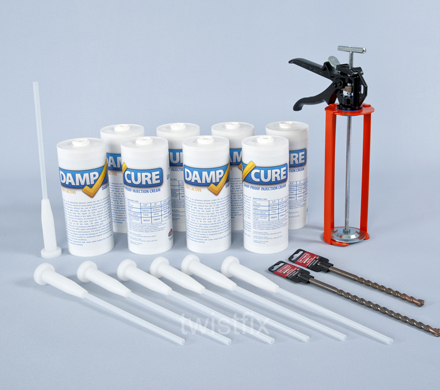 The electro-osmotic DPC system is the only damp proofing treatment that can be installed in masonry walls above timber floor joists to drive excess moisture down to a level beneath them, fulfilling a vital purpose of an effective damp proof course. 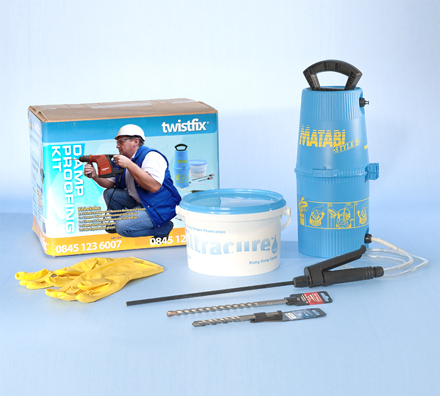 For more information concerning rising damp and damp proof course systems please contact us on 0845 123 6007 or email info@twistfix.co.uk.